July 24, 2017 July 7, 2017 by Beau H.
OK, step right on up — we’re talking today on The Style Guide about a somewhat difficult style conundrum that seems to be popping up more often in today’s economy of the 21st century. To get right to the point: We’re covering the best #menswear to wear to work remotely — so, how to dress for comfort and style when working from home, working on the road or working from your favorite Brooklyn coffee shop (as I so often do on weekends and my days off from the old day job). One thing is clear — you need plenty of the best men’s gear to keep you going. And what are my top picks (and possibly yours, too)?The trick is to keep it simple, stylish and certatinly not sloppy. Think a bit like a business casual look, yet … more casual. And yes, even if you’re not in the office, dressing a bit better ramps up your focus and productivity just a bit. 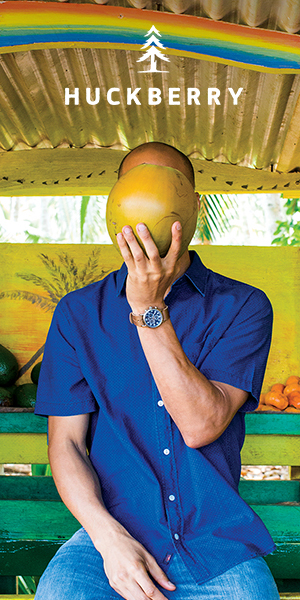 Let’s start with a classic Oxford shirt and team it with other reliable basics — slim grey chinos, a trusty pair of classic suede chukka boots and other favorites — including a timeless leather watch and plenty more. Are you ready? Let’s gear up to get to work. Chime in with your thoughts on this #OOTD on Twitter, and catch my daily ensembles on Instagram. Thanks for reading! A crisp, classic and clean white Oxford — great even for working from a coffee shop. The great folks at Flint and Tinder do so many things so well, and you can now add a stylish Oxford shirt to that offering. There’s a reason the classic Oxford shirt is a menswear staple — it’s among the men’s shirts out there, it’s timeless and it looks great on every guy. It also adds some needed polish to even the most laidback of ensembles — I’m not saying you can wear it with slim sweatpants, but I am saying it’ll clean up in a jiffy if you need to throw on a navy blazer to head to an unexpected meeting as you work remotely. Plus, it’ll work stylishly through all four seasons. Not bad at all, ehh? A reliable tee that’ll work nicely for layering — and sustainable style. In the name of adding visual interest to your white Oxford shirt, we’re throwing on a slim striped tee underneath. It serves a dual purpose — coffee shops can be a bit chilly if the A/C is blasting, so a tee helps add both comfort and style. Oh, and since it’s from Outerknown, your purchase of this tee champions the brand’s mission of sustainable style. First seen in a Style Pick of the Week entry, this pleasingly textured shirt is a reliable second layer — you can even ditch the shirt and wear only the Outerknown Pagoda Stripe Tee (which I’d also support). Absolutely more than a hoodie — absolutely the nicest hooded sweatshirt you’ll buy. As we mentioned above, coffee shops can get a tad chilly. And if you happen to be holed up working away, you might just want another layer to keep you cool and comfortable (you’ll hear that word a lot in this post). We’re not just throwing on a ratty hoodie and calling it a day, though. Life/After/Denim takes everyday basics for the stylish guy and amps them up a bit, focusing on excellent fabrics and just-right construction. That’s what makes the Awash Hoodie such a neat buy — it’s a refined hoodie that wouldn’t look out of place over a classic Oxford. A pair of laidback, casual-yet-stylish chino pants that work for everyday wear. A wear-with-anything set of chukkas that’ll look better than plain sneakers. We here at The Style Guide love our versatile chukka boots –any time of the year. Bear with me — this particular pair, made sustainably by Astorflex, incorporates plenty of comfort and a very wearable silhouette. They’re timeless and laidback, easy to take on and off, and polished enough to team up with more refined pieces in a hurry. And they provide a nice, earthy contrast to the slim grey chino pants and white Oxford. There’s certainly a lot to like — no, love — about the Astorflex Greenflex. Well-made socks that are far from flashy — just what you need to work outside the office for the day. Fear not, my fellow menswear lovers. We’ve got you covered right down to the socks today. When your outfit is composed of casual basics, from suede chukkas on up to a slim striped tee, socks might be seen as an afterthought. Not so fast, my friend. Made in a simple grey-and-red color combo from lightweight fabric, these Arvin Goods Casual Socks won’t slip down your legs throughout the day — and they’ll provide a bit of color in terms of your overall outfit. Nothing too flashy, though. Sounds like a winner on all fronts. Nothing overly fancy about a well-made, tough Timex watch. Just the right pick for this outfit. As with the rest of this ensemble, the “less is more” approach works out quite nicely. So, we’re ditching a flashy watch for something casual, low-key and distinctly stylish. And it frequently seems to be the case that the Timex Weekender is the right watch to pick for those types of circumstances. Featuring handy chronograph functionality and a rich brown leather strap, the Timex Weekender Chrono should be your go-to watch for when you want to feel casual, yet look sharp. A rugged, well-crafted belt to complement those light grey chinos. Leave no stone unturned when it comes time to put together a stylish outfit to wear when working remotely. This Line of Trade belt is handsome, rugged and very well-made. It’ll age beautifully the more you wear it, and it’ll stylishly complement that classic Timex watch — whether you’re at your favorite coffee shop or the nearest Starbucks (happens to the best of us). Two picks that could feasibly go everywhere with you. Definitely add them to your daily haul. We were just talking about leaving no stone unturned when gearing up to work remotely, and you certainly need the right goods to get the job done. The recognizable, heritage-quality Filson Pullman Bag is a durable, tough and stylish pick to haul around your everyday carry (plus, it fits with the rugged-casual nature of this outfit). And a good pen — with great writing quality — is an underrated desk essential. Make sure the Tactile Turn Brass Slider is in your bag. Designed and sized to carry everything you could possibly need for a day of work. There’s nothing you want less when working remotely than to realize you forgot something essential. That’s where the ridiculously handy and well-made This Is Ground Mod Laptop Carrier comes into play. It’s priced on the high side (to say the least), but it’s worth it. Sized to help you haul just about everything you might need to work remotely, it comes in a handsome shade of French Grey, the Mod Laptop Carrier features plenty of space for your phone, your laptop and a plethora of pens and office supplies. It’s practically a must-buy. The slim wallet that you’ve been looking for — ideal for slipping into your bag as you head out to get some work done. Particularly when working away from the office, the daily essentials take on that much more significance. Which is to say: You don’t want to be caught without your wallet. The handsome, meticulously crafted Jack Mason Leather Front Pocket Wallet solves that problem easily, what with its rich leather and easy accessibility from the front (or back) pocket of your Outerknown chinos. Nothing beats great tunes and a little peace, quiet and … freelance work? To be fair, not everyone likes to listen to music when working. Ladies and gentlemen … I am not one of those people. Let’s upgrade your listening experience in terms of both style and quality, though — shall we? Marshall on-ear headphones are high-quality and distinctive — and what’s more, they’ll provide a neat complement to your home listening experience as well as when you work remotely. They’re well-priced, too. That’s a heck of a lot of positives to consider, no? There are certainly challenges inherent when it comes to dressing to work remotely. You need to consider comfort and style in equal measure — two areas that can sometimes be difficult to match up. I think you’ll find a classic Oxford shirt, like the Flint and Tinder piece featured here, helps out. As far as your basics go, the Outerknown Ditch Crop Pants provide easy wearability when matched up with classic suede chukka boots. And essential accessories — from a rugged leather watch to a stylish Filson bag — are going to make your remote work that much more enjoyable (and timely). Don’t forget to keep your laptop safe with the investment-worthy This Is Ground Mod Laptop Carrier. As far as musical accompaniment to your day, I’d also urge you to snap up the Marshall Major II On-Ear Headphones. Again, there’s certainly a lot of gear — and quite a few variables — to keep in mind when working remotely, especially if you want to look (and feel!) your best. With that being said — what do you think of this list? Let me know in the comments below!